Your dog’s paws can wear out after a while. All that walking along a variety of surfaces can really make it hard for those paws to stay comfortable. Sometimes they might become too dry or cracked. They might even start bleeding in some cases. You must always check your dog’s paws while taking care of your pet’s nails or doing other grooming-related things. The paws should be checked to see if there are worn out and if they need fixing. 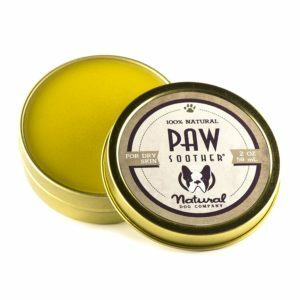 A great paw balm product can help you restore your dog’s paws and make them feel comfortable again. 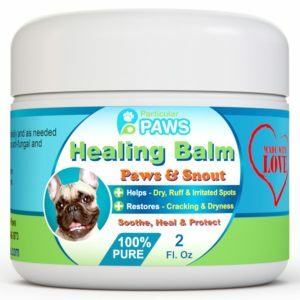 Such a balm is used to help with moisturizing the paws and sealing up any cracks. This helps to allow them to naturally heal over time and can keep pains from being a problem. You must have a great paw balm on hand if your dog tends to walk along rough surfaces and enjoys running. It is all about ensuring that your dog won’t be at risk of any further harm from cracks and other foot issues. Look for something that is organic and safe to apply on irritated skin or dog pads like aloe vera, coconut oil, sweet almond oil, olive oil with vitamin E, and other essential oils. This is to keep your dog from being at harm in the event your dog tries licking it. It should also be waterproof and capable of sticking on the paw even as the dog tries to lick it. The texture of the balm should be thick enough to where you can get a good grip on it. This is to help you apply it evenly into the dog’s paw without leaving any difficult residue or other problems. It must also be capable of controlling any problems that cause your dog to feel pain. Various oils can be applied to help keep irritation from developing. The things that paw balm can do are worthwhile and helpful for keeping your dog comfortable. There are a number of good options for you to check out when aiming to get the most out of taking care of your dog’s needs. This is a skin repair balm that is made by Bayer, one of the top companies in the pharmaceutical industry. This is an organic certified product that uses fully organic ingredients. It is easy for your dog to absorb and is also waterproof. This does not have any mineral oils or petroleum so it will be safe for your dog to handle. It also moves in quickly into the paw and keeps cracks from growing or bleeding. This promotes the natural healing process so your dog will feel comfortable in no time. Another organic option, this Pet Head product is a pH balanced solution. It features oatmeal, shea butter and jojoba oil, three compounds knowing for their cooling and healing properties. These are especially good at assisting the paws in keeping moisture intact so they will not dry out. This has a sweet scent to it so it won’t be bothersome to the dog or you as it is applied. It is also a non-toxic solution so it will not potentially cause your dog harm when it is used. Essential fatty acids are included inside the paw butter as well. These assist in filling out the pads to ensure that there are no problems with keeping it healthy. 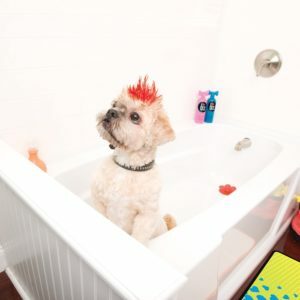 The Burt’s Bees organic skin care company has its own product for dogs. This helps to soften your dog’s paws and uses rosemary and olive oil. These help with softening the paws and keeps moisture inside. This is an organic option that is easy to apply. Of course, this is also made with beeswax just like many of the other products that Burt’s Bees makes. This helps to create a solid base for the paw balm without getting in the way of the key oils that make it effective. This also uses beeswax but it is also paired with aloe vera to cool off the dog’s paws while helping to retain moisture. Sunflower oil and tea tree oil are also added as antibacterial agents while being very easy to handle. This works as an anti-fungal agents and also has anti-itch properties to make it very easy to use.The thick body on the balm makes it easier for you to get different materials added with ease. It does not create a mess when used and should stick on the paws for a good period of time to keep them comfortable. Designed as a vegan balm, this works with dry skin in mind and can improve upon how cracked skin feels. This uses candelilla wax to create a strong base while chamomile oil is added to soothe irritation in the paw. Jojoba oil and tea tree oil are also included to control any infections or other issues that are causing your dog pain. This also lasts a little longer on your dog’s paws than many other comparable products. This in turn offers a comfortable body that will not irritate your dog or be far too difficult to use. This is even available in a stick formula. This means that you can apply it with ease while on the go. 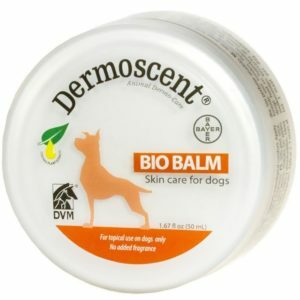 Like with the other products you have read about here, you can also apply it through a standard jar that you can take the paw balm out of. 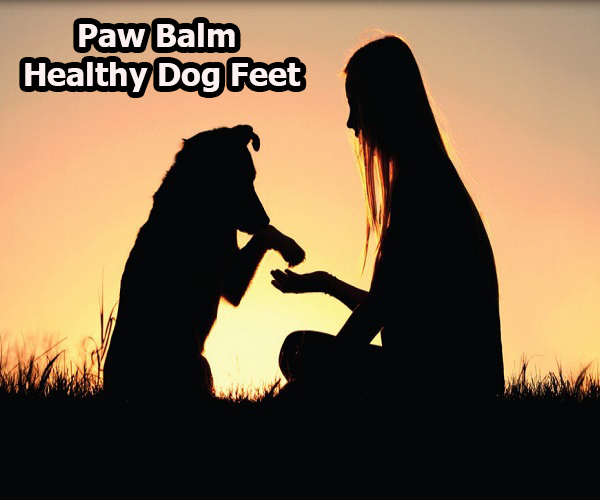 Paw balm will ensure that your dog’s feet will stay healthy and won’t become weak. Your dog will be just as happy as you when you treat your dog’s feet regularly with paw balm. Your dog will not be in lots of pain and you won’t have to clean off any bits of blood that your dog could track if its paws weren’t taken care of.